The Regnier Institute for Entrepreneurship and Innovation undergraduate entrepreneurship program at the University of Missouri-Kansas City has been named the 2014 National Model Undergraduate Entrepreneurship Program by the United States Association for Small Business and Entrepreneurship (USASBE). The program and Institute are housed within the new Henry W. Bloch Executive Hall for Entrepreneurship and Innovation at the Henry W. Bloch School of Management. In 2012, the Bloch School’s MBA in entrepreneurship was named the National Model Graduate Entrepreneurship Program by USASBE. The award continues the consistent recognition the Bloch School’s entrepreneurship programs have received over the past few years, including having both the undergraduate and graduate programs currently ranked among the top 20 in the nation by The Princeton Review, and UMKC’s designation as the No. 1 university in the world for innovation management research. This research is driven by three of the Bloch School’s entrepreneurship faculty, including the No. 1, No. 4 and No. 50 innovation management scholars in the world. 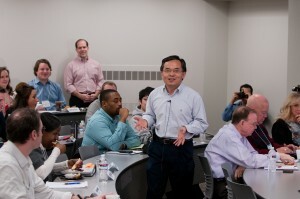 Dr. Michael Song, along with program mentors, address an E-Scholars class. The award was based on seven basic criteria including innovation, quality, comprehensiveness, sustainability, transferability, depth of support and impact. The leadership of the Regnier Institute represented the school at the competition in Fort Worth, Texas on Jan. 13. Regnier Institute Managing Director Dr. John Norton commented, “This designation is gratifying, because it joins our 2012 National Model Graduate Program designation; it is humbling as peer recognition few schools have achieved in the long history of the awards; and it is exciting, because institutions around the world are increasingly looking to the Bloch School and UMKC for leadership in entrepreneurship education, and it is up to us to deliver against that promise. 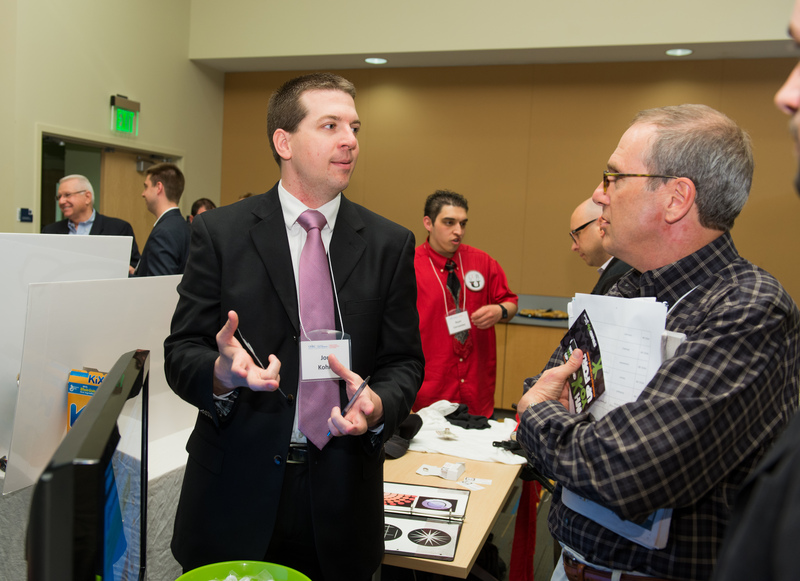 Students pitch their ventures at the Regnier Venture Creation Challenge. “According to the judges, the Bloch School undergraduate program scored high in all of the categories, with a number of standout elements. They cited our Entrepreneurship Scholars (E-Scholars) program for its innovative approach, and the program’s proven influence on new-venture growth and development in the Kansas City region for its impact,” Norton said. Norton added that the success of the Institute’s Mentorship Programs was also noteworthy. “More than 130 entrepreneurs and business professionals, along with 13 entrepreneurs in residence, serve as mentors to our students. These mentors constitute a critical resource in achieving our mission, which is to inspire and nurture the next generation of entrepreneurs through transformational education and research,” he said. 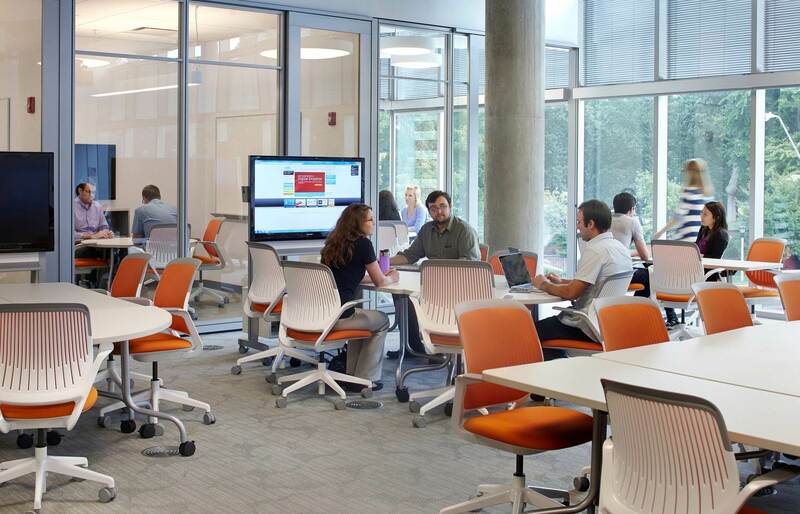 For more information about entrepreneurship education at UMKC, visit Bloch Entrepreneurship. This entry was posted in Archives by Information Services. Bookmark the permalink.